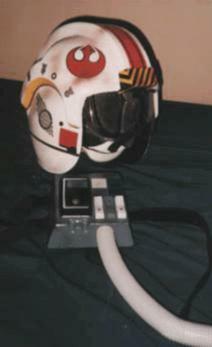 X-Wing Helmet: A fantastic rendition of the X-Wing helmet and chest panel. The pieces are a thick wall plastic mix with air brushed detailing and heavy mounted parts. The helmet is well lined with foam to keep it from slipping around while you wear it.